Marble Gazebo from J.H. Wagner & Sons. 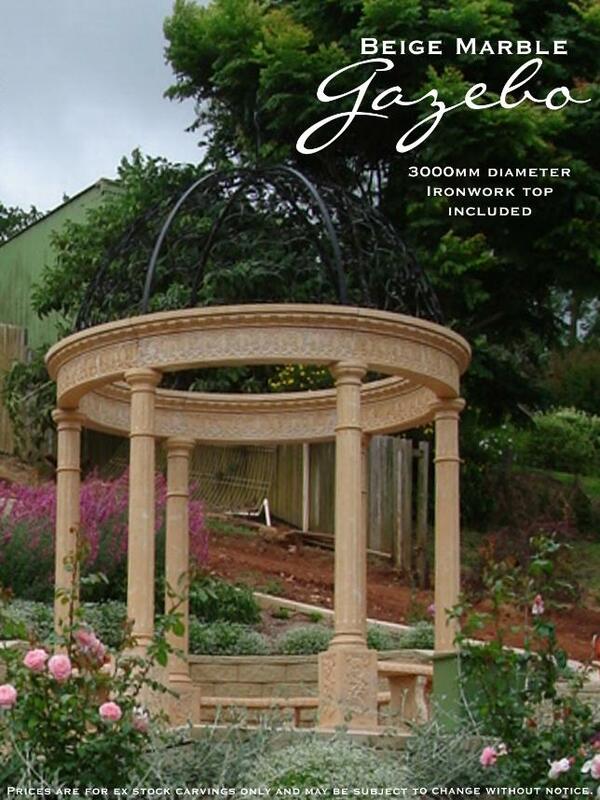 Whatever name you choose, arbour, gazebo or rotunda, your garden could look amazing with a Marble Gazebo from J.H. Wagner & Sons. Choose from two Gazebos currently in stock at J.H. Wagner & Sons Toowoomba office or order to your own requirements. If a Gazebo has given you ideas, why not also consider Marble and Granite columns or a Marble Fountain?